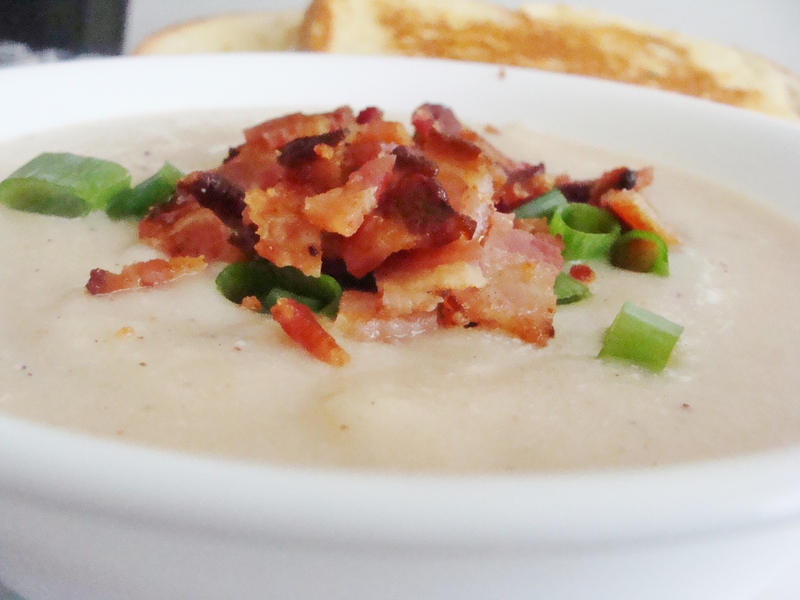 light & creamy potato soup. I had been craving a potato soup, but wasn’t in the mood for anything too heavy. I came across this recipe from Cooking Light magazine, which has a secret not-so-secret ingredient–roasted cauliflower! This soup is really easy to put together after some quick slicing and dicing of your veggies. First up: You need to roast your cauliflower. Preheat your oven to 450–you want it HOT. 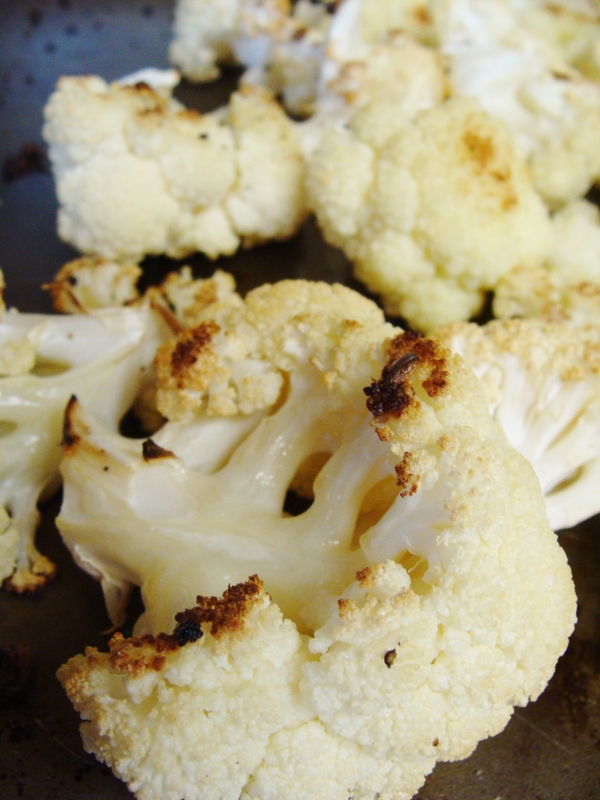 Place your cauliflower florets on a cookie sheet and drizzle with olive oil, then lightly salt and pepper. Roast for 30 minutes, until the florets are browning. Then, remove from the oven and let the tray cool on your counter. 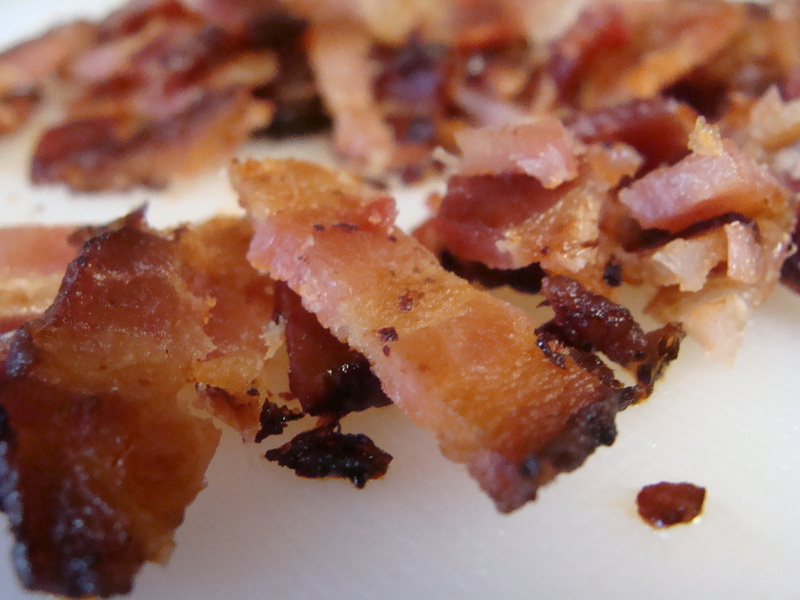 Step 2: While your cauliflower is roasting, cut up your bacon. Remember, nice and crispy! Finally, in a large pot or a Dutch oven, heat olive oil over medium heat. Saute your onion, garlic, and thyme until onions begin to soften. Then, add your potatoes, your bay leaf, and your chicken stock. Let it come to a nice boil, then reduce the heat. At this point, add your roasted cauliflower to the pot, and let the mixture simmer for 20 minutes. Then, remove the pot from heat. Before serving, season the soup with black pepper and 1/2 cup of sour cream. Serve with a selection of garnishes–the bacon crumbles, chopped green onions, and sharp cheddar cheese. This soup is an excellent make-ahead meal and keeps great in the fridge, along with the garnishes. Perfect for busy week nights. « roasted sweet potato tacos. 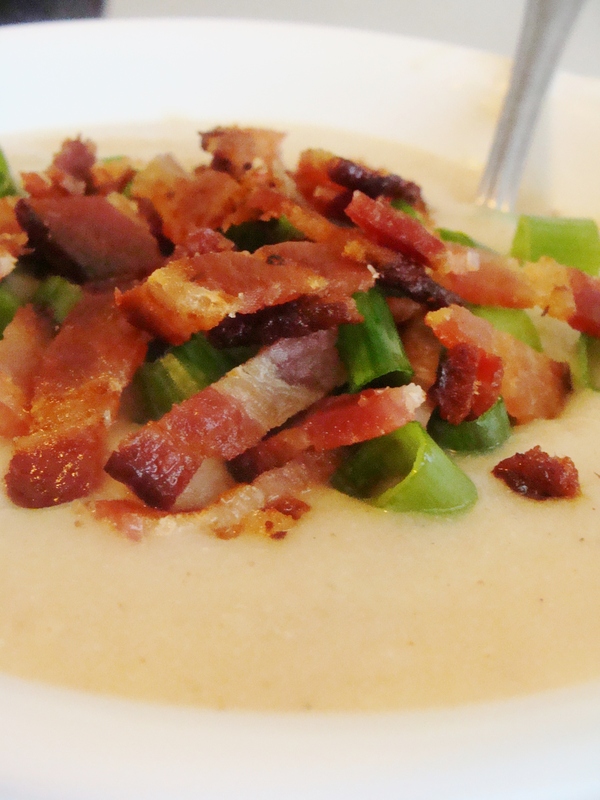 You are currently reading light & creamy potato soup. at The Cheesy Kitchen.